Mobile apps are designed to go on your smart phone or mobile device. There are mobile apps designed specifically for emergency situations, and some specifically for people with disabilities or access and functional needs and emergencies. 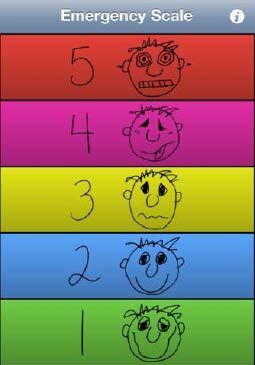 The Autism 5-Point Scale EP app is designed for people with autism to communicate about their needs and regulate their level of anxiety using a five-point scale. Different phrases associated with each emergency level communicate the person’s needs to others without the person with autism needing to be verbal. The app helps individuals control their anxiety by individualizing the five levels of emergencies on the scale. Further customization is done by adding pictures or audio of people or objects that bring comfort to the person. That way, the situation is better handled without the need to be verbal. This mobile app can also be useful for people with disabilities who experience difficulties communicating. 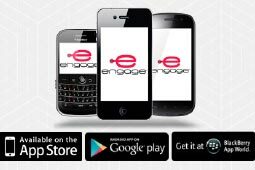 ‘engage’ is a wireless community created by the deaf and hard of hearing community. It provides a platform for community members to post information about community events and access emergency alerts. Emergency alerts sent to a smartphone make the phone vibrate and flash. An important feature of this mobile app is that your phone will turn on whenever and wherever an emergency alert is received. That way, you get it right away and can begin to determine if you need to act on the alert. You do not need to worry about registering with different organizations or update your information when you travel. Your phone will receive the alert automatically wherever you are if you are a part of the community. MyMedList (MML) is a way for people to keep track of their current and past medications. A person can manage their medication information by listing the type, amount, and number of times a day the medication must be taken. There are also ways to set medication reminders and to put a picture with the type of medication for clarity. Having all medications listed in one place makes it easier during an emergency. A person can show the list to emergency responders if it is necessary to replace medications or answer questions about current medical conditions. Delaware Tips is a mobile app that allows people to quickly access information on different types of disabilities from their mobile phone. The information enables people, especially first responders, to interact more appropriately with individuals with disabilities and other access and functional needs. The FEMA App provides important information on the stages of disasters and disaster-specific types of information. The app has information on different types of disasters, how to keep safe from disasters, and ways to recover after a disaster. There is also an interactive checklist to create an emergency kit, ideas on ways concerned citizens can get involved preparing for, and responding to, disasters, as well as other useful information. The SAMHSA Disaster App is an app for behavioral health responders, but can also be useful to non-responders. The app allows you to look up behavioral health resources during and after a disaster. Users can find local behavioral health services and providers based on their needs and location. If an emergency strikes, you may need to find alternative services or find a new place to go to if you left the area. This mobile app can tell you where services and providers are in the new area. Other useful apps involve finding gas stations or alternative fuel stations, especially if you are in an unfamiliar area. These apps determine where you are and locate the nearest station to you. Some mobile apps also tell you what the cost is at different stations. That way, you can choose which gas station to go to based on how far you need to drive or how much you need to pay. Delmarva Power is a Delaware area electricity provider. A mobile app is available to allow Delmarva customers to report power outages, check the status of outages, as well as check restoration times. The mission of the Federal Alliance for Safe Homes (FLASH) fosters public awareness and education on extreme weather events, and educates people on how to take measures to mitigate their homes against extreme weather. The app allows people to create homes and storms to learn about how different structural changes help protect buildings from extreme weather. 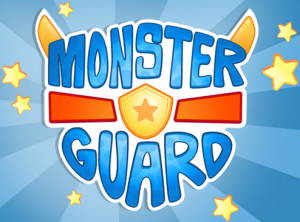 Monster Guard is an app for kids (aged 7-11) designed by the American Red Cross to teach kids how to prepare for emergencies. The app aims to engage kids in a fun way about what to do in emergencies at home and in other environments using monster friends. This free app sponsored by Disney is available for Andriod and iPhone devices. The following link will take you to a web page that includes information explaining how to receive regular safety tips from FEMA for specific disaster types, and how to search for open shelters and open disaster recovery centers. National Weather Service mobile enhanced web page provides weather, hydrologic, climate forecasts and warnings for the United States. GrabPak offers ready-to-go emergency survival kits for individuals and families. GrabPak Kits are designed to last 72 hours. Information for first responders about helping people with disabilities. Tools and resources for people with special challenges. A list of commonly used disability-related terms.